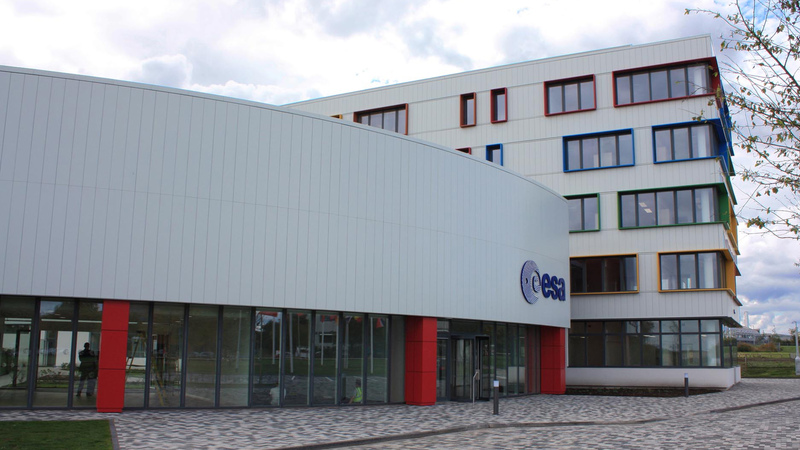 The development consists of two linked blocks, comprising a main five-storey office block housing over 120 ESA staff and a two-storey reception and conference wing, totaling 4,870m2 of accommodation, with external landscaping and car parking. 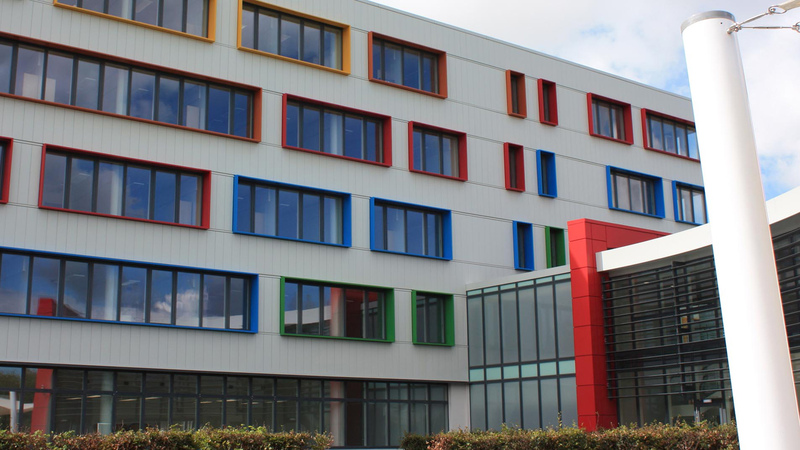 Within the building, the main activities are centred around a requirement for computing as well as encompassing digital technology and engineering. The facility acts as a hub for interfacing with and controlling satellites, and includes some analytical and assembly areas for them. A variety of spaces have also been accommodated within the building including offices, a meeting and conference room, a cafeteria, exhibition spaces, laboratories, and video conference facilities. The building features a very low energy design using ground source heat pumps to provide the energy for heating and cooling. The building form is arranged upon a north-south orientation to minimise south facing facades. 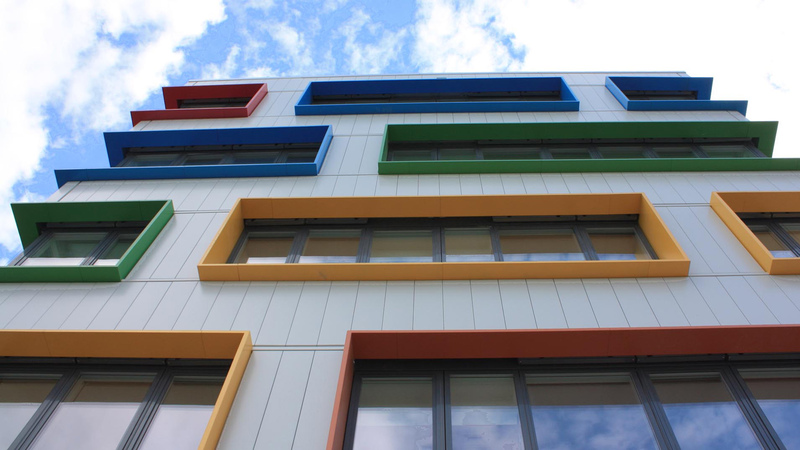 Other passive design strategies to reduce energy consumption include a structure with a high thermal mass, high levels of insulation, triple glazing with external solar blinds, and a sophisticated BMS system controlling the use of natural ventilation. The control systems are wireless and the building features all LED lighting. 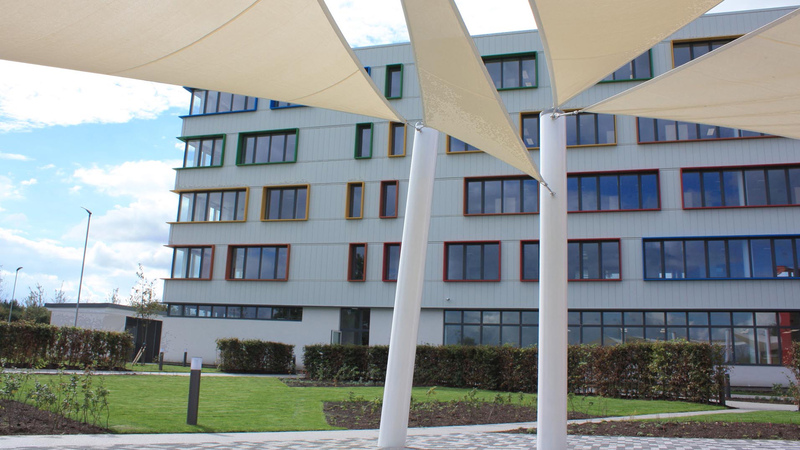 The building has achieved BREEAM Excellent and a B energy rating.